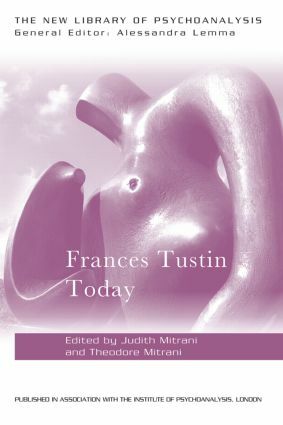 Frances Tustin is an icon within British Object-Relations psychoanalysis. It is good to have in this book, a sustained tribute to her ideas and to their significant and enduring contribution. Her tradition of learning fundamental truths from autistic conditions remains lively, productive and inspiring.. Tustin's work sustains one of the founding principles of Object-Relations work – that the depth of psychoanalytic ideas is enhanced by rigorous work with children. As that long-held view — going back to the innovative work of Anna Freud and Melanie Klein — has weakened over time, granting a more exclusive place to work with adults, it is important to have this book to redress that imbalance. This collection draws us back to the fundamental questions about working with another mind. How can one conceive of the object relations of a mind that can barely sustain the possibility of relating to others? It is commonplace to regard psychoanalysis as a body of knowledge derived from what goes wrong, but what can be learned about a mind that has gone so radically and despairingly wrong?